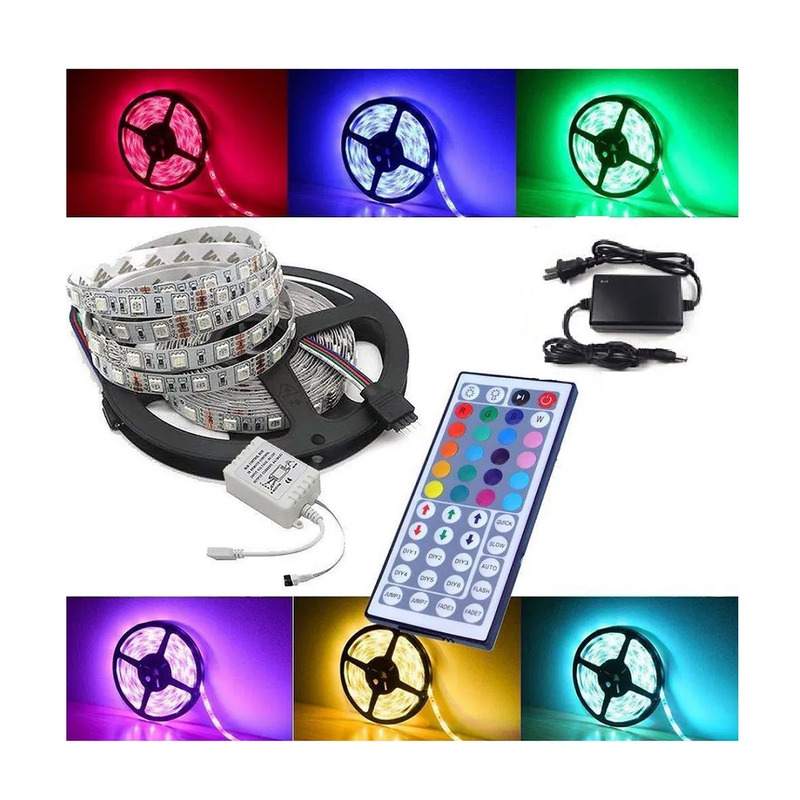 5050 MULTI COLOR LED STRIP WITH 44 Key Remote & Adapter Set. Specifications Product Features 5 Mtr (15 feet) 5050 LED Non Waterproof 150 LED (30 LED/M) Strip, 44 Key IR Remote Controller with 2 amp Power Supply. 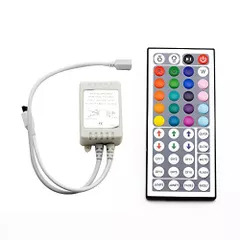 You can choose 20 single colors or can choose multi color mode in this strip as shown on remote control. 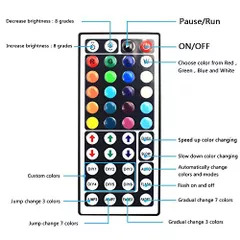 You can Set speed of Color Change in Multi Mode and control brightness of color in single color Mode. For operation video and combination of light please search title in You tube Description: If you require less than 5 meter for a area where you want to use, you can cut after Every 3-LEDS Without Damaging the Rest Strips, According to Your Requirement. 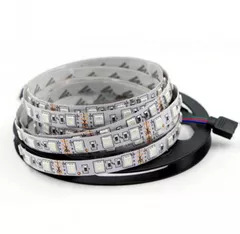 There is a scissor cut mark after every 3 LED's. Note : Little Color accuracy may vary as RED, GREEN, BLUE are main color rest colors are made from the combination of these three colors.